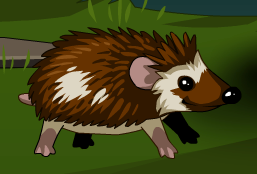 Description: Memet's hedgehog buddy. Sometimes also seen scurrying behind Alina or Rolith… or you! I Heard You Like Hermes Pet.